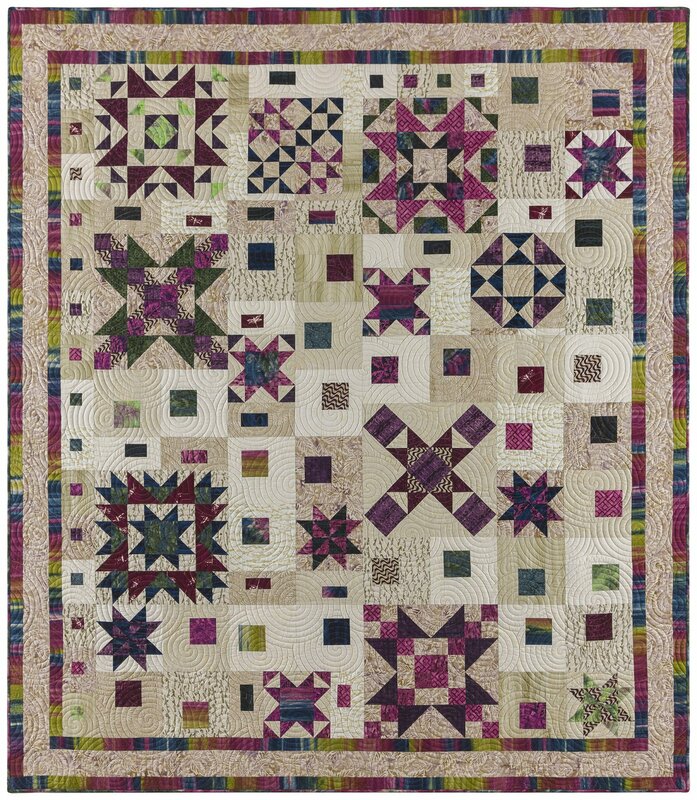 Sarah J Designs along with Marcus Brothers have created a beautiful batik quilt named Graphic Gems in the Garnet and Sapphire colorway. Sarah's cool and warm color palettes are enhanced by her choice of batik designs - cattails, a garden trellis, ocean waves and other motifs echo her inspiration in this great block of the month. Each month you will receive a 10 1/2" precut pack of batiks plus your pattern. With this block of the month you will receive all fabrics for your top, binding and pattern. This is a 9 month block of the month starting in March of 2018. Price per month is $ 23.64 plus shipping or all at once $ 212.99 free shipping. If you choose for your kit to be mailed monthly, we can work with you. We can either have your credit card on file or we can invoice you thru pay pal every month prior to mailing your block. Your choice. Please call the store and ask for Mary with your choice of payment. Either way is safe.